Products are never designed in a bubble. In some cases, engineers consult with experts, executives, and even their own family members to find out more about how a product should work. Yet, the best products are often designed with the help of real customers in a controlled environment called a focus group. These companies went to great lengths to include customer sin the design process, asking them questions about such fine details as the quality of the interior to how long it takes to install the product. And this exercise was not just a marketing ploy. The feedback was used to change the product in tangible ways, and to make it even better. Designing a universal remote is often a cumbersome process. Every user has different needs, a unique set of a equipment, and only so much patience for the install process. The design firm projekt202 held frequent user group testing to see which "personas" would typically use the Logitech Harmony One Universal Remote. It had an interesting discovery. There are the typical users in the home like the father, mother, and kids. Yet, they also found there is a babysitter persona – essentially, someone new to the home. This established a new criterion in the design and installation. Logitech simplified the design of the UI even more to accommodate a home visitor. At first, the testing revealed that the install took about 2.5 hours from first opening the package to using the system for the first time. Peter Eckert, the Chief Experience Officer at projekt202, says the company reduced that time, through user testing, down to just 30 minutes, and have plans to reduce the setup to just 10 minutes. The big changes: they started out using a hard plastic but switched to a cardboard box that is easier to open. Flaps on the box now use magnets for easy opening. The UI changed by going even more streamlined. There were three distinct apps in a prototype stage; now, there is one app. They changed the wording for the install to use normal, everyday words and no jargon or tech language. They also reduced the number of steps, and even figured out how to perform some steps without any user input at all. Now, the install mostly involves choosing gear to control. 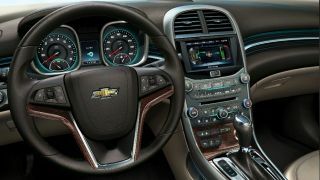 To design the new 2013 Chevy Malibu, General Motors held routine design clinics with real customers – something they call a garage visit. Giving these drivers a sneak peak at a production vehicle, the company asks about what they like and don't like. For example, during the design cycle, they asked about whether the seats were comfortable (drivers wanted the material to be softer), the level of ambient lighting inside the car, and found out about preferences for storage. One example: GM found out that drivers like having a place behind the dash below the radio to stash gear. The focus groups start with a discussion about the driver's specific situation: daily commuting, frequent stops to pick-up the kids, etc. Designers ask about which vehicle preferences as a way to understand the perceptions about the vehicle. They ask about why the driver might be ready to make a car purchase. Interestingly, part of the process is for the designers to ask questions about what it would take for the driver to change their preference – e.g., how strongly they have that preference. The Biscotti TV Phone is a brand new video chat device for the home was designed, in part, by holding frequent focus groups. One finding: few users bothered to read a manual during the setup process, so Biscotti knew they had to work hard to make everything intuitive on the screen. They also learned that quite a few users tended to raise the volume on their TV quite loud so they could hear across the room, which caused echoing with the device. (To resolve this problem, they create an algorithm that cancels out the echo.) They also found out from real users which features are the most valuable for a TV-based videophone system – namely, the TV and audio quality. Interestingly, they also decided to use large, readable fonts for older users who might not be able to see the text from across the room. After finding that users wanted to be able to call for support easily, they created a card that is now included in every box with clear instructions for contacting the company, and install tips. Biscotti learned several important lessons during the focus group rounds. They have decided to include even more participants next time, and will plan to rely a bit less on focus group surveys and more on actual interviews they conduct with users over a text system – holding live chats with users who provide feedback.